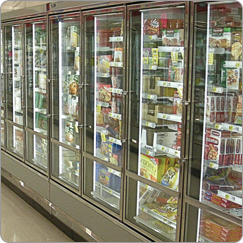 Get to know EnergySmart Grocer through real-world examples of participating businesses that are saving energy and lowering their operating costs. Take a video tour of Hannaford Supermarkets’ progressive approach to saving energy, and see how EnergySmart Grocer is helping the company reach its ambitious goals. For savings figures and bonus details, download the video cut sheet.